The Kauffman Center has become an architectural icon and home for the Performing Arts in Kansas City, MO. The building, conceived and created by Moshe Safdie, an equally renowned, international architect, has changed the city’s skyline as well as the experiences of artists and audiences throughout the region. Each space contains dramatic eye- and ear-catching design that combines sophisticated aesthetics, acoustics and technology with the intimacy of a smaller space and the comforts of home in a nearly 285,000 square foot facility with two main performance halls. 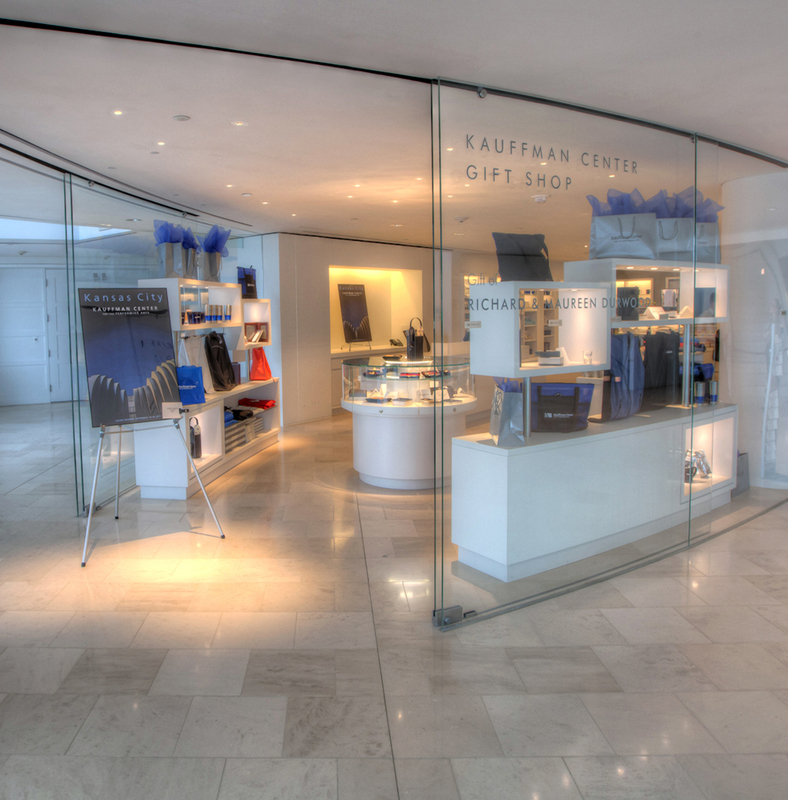 The Kauffman Center Gift Shop pays homage to the design of the building itself, while bringing together a retail principle that adds to the store’s commercial appeal.